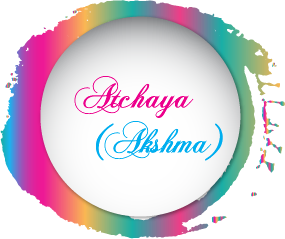 I am back with a new project for Nakshathra Desisnz as my DT project for this brand new month. 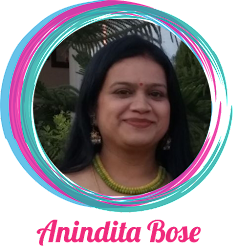 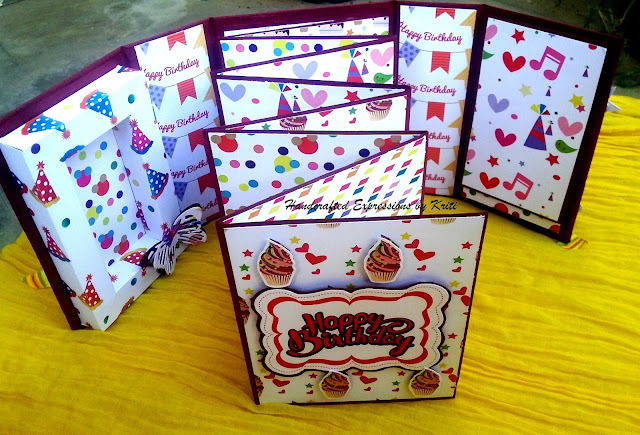 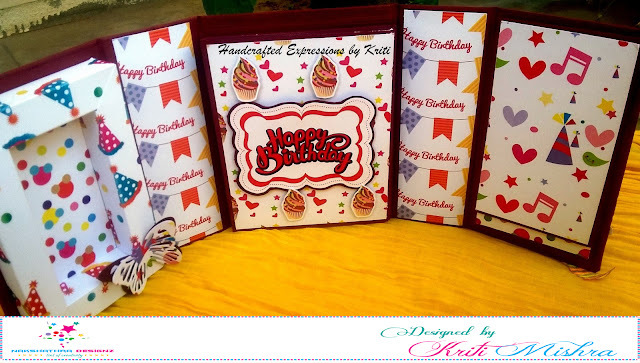 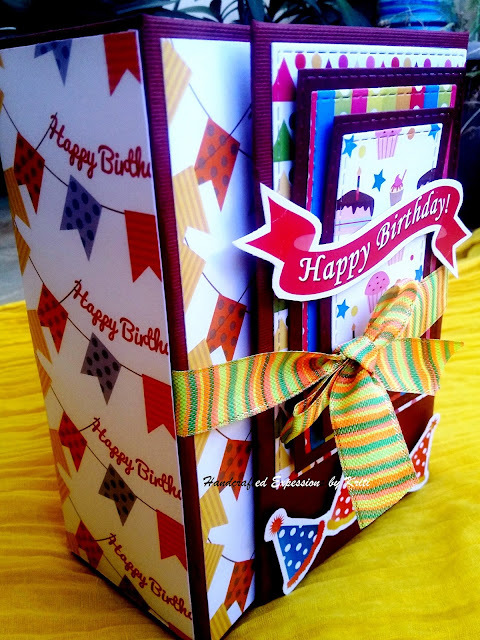 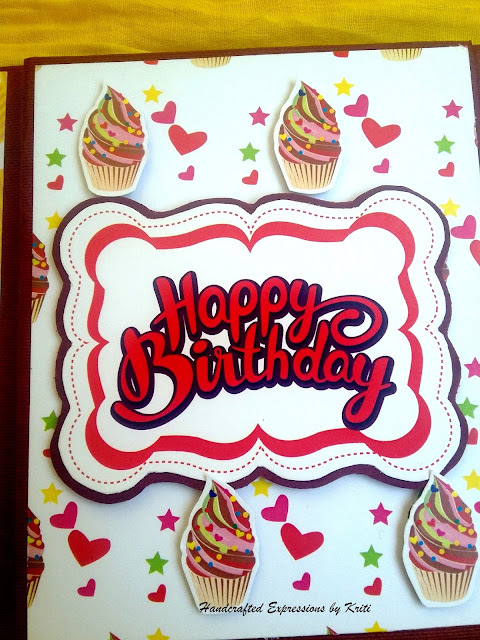 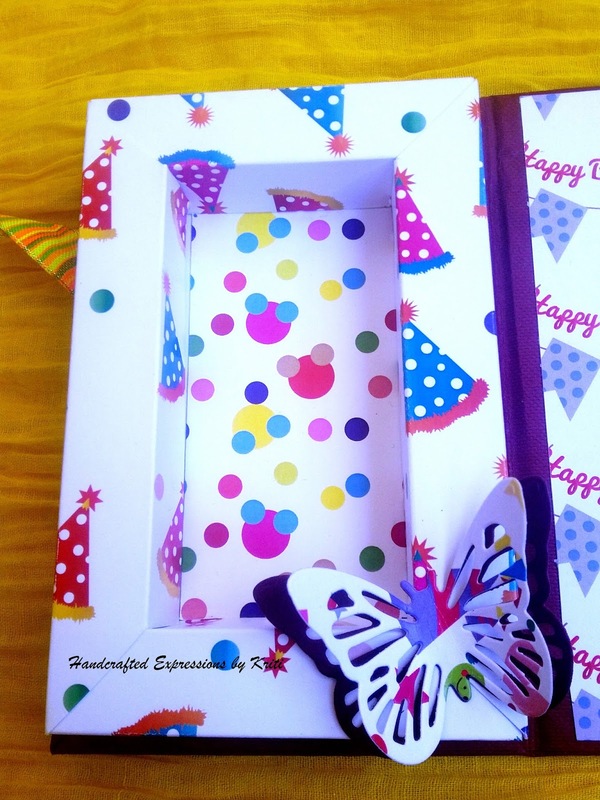 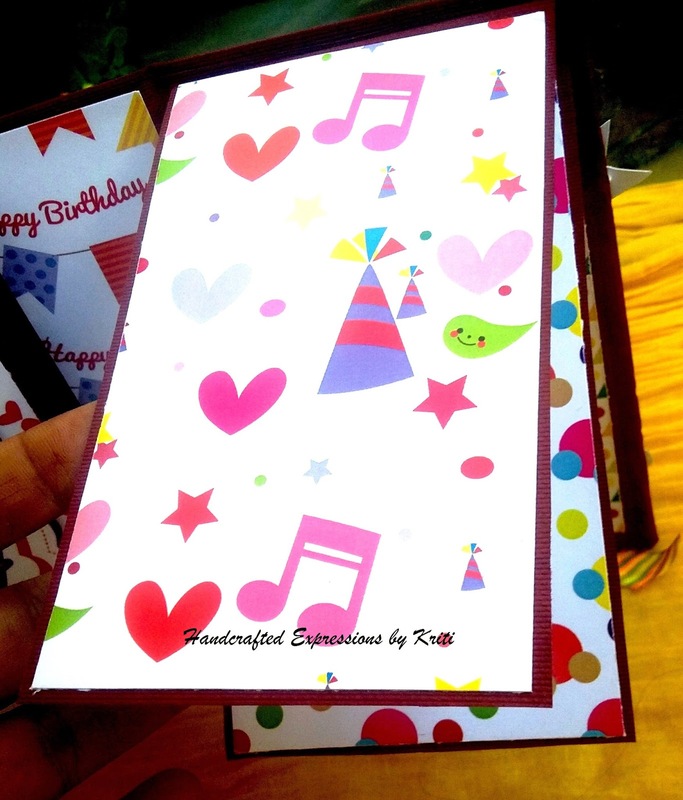 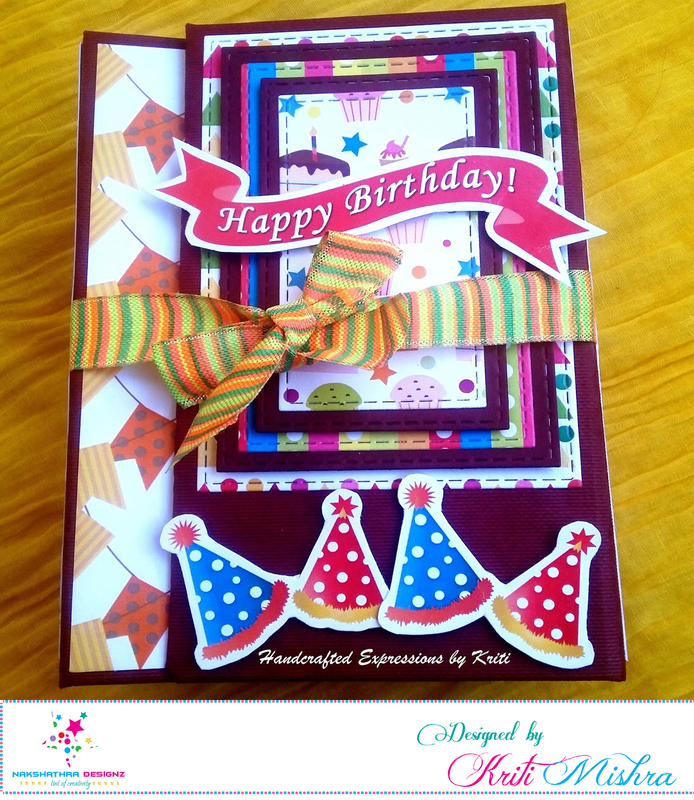 This time I grabbed Colourful Birthday paper stack to make an accordion album with a shadow box and a waterfall interactive page. Papers were so pretty that I couldn't resist myself to use them. 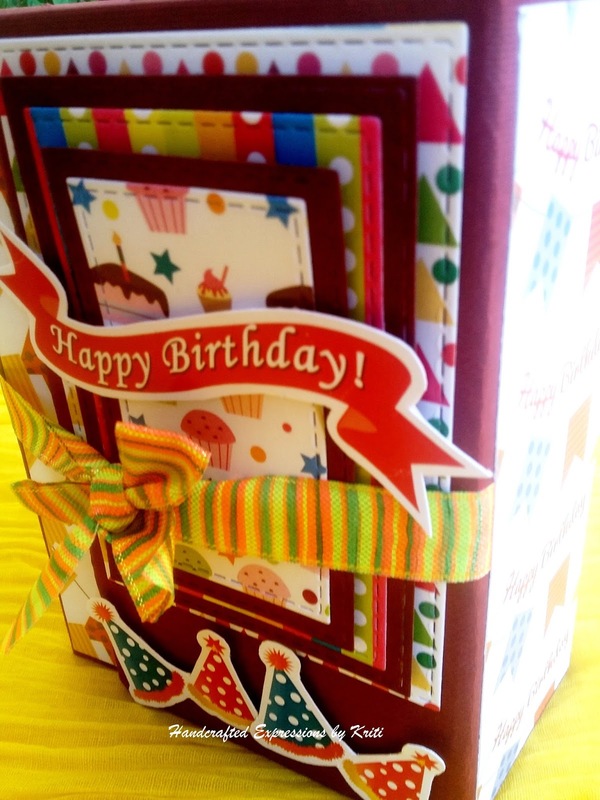 So cheerful and bright! Anybody can love this cute album Kriti!